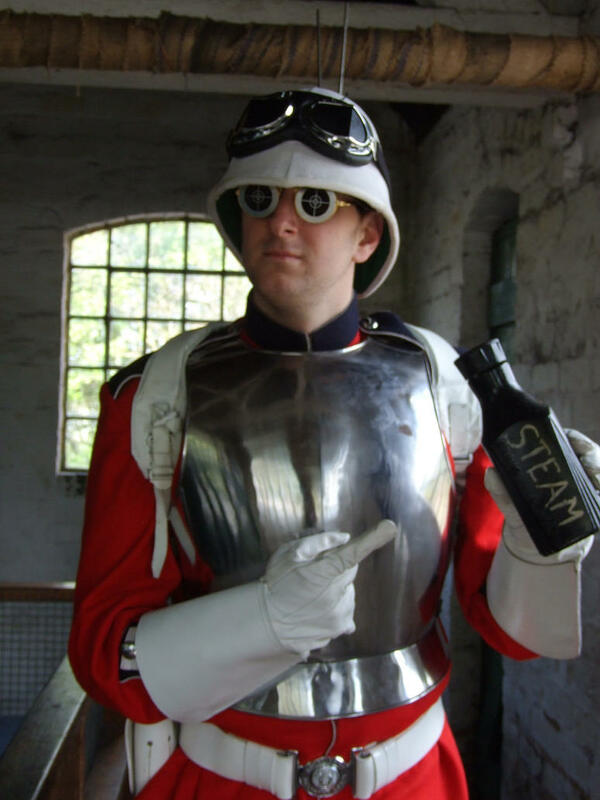 If last month’s round of next-gen console launches left you in a fog, prepare yourself for the incoming Steam Machine. Valve has released only 300 beta kits into the wild, so grab your companion cube and hold tight—we’re about to open one up. After-the-fact-note: we specced out the Steam Machine on pcpartpicker.com and came up with roughly $1300 in parts. There’s more teardown where that came from—keep up with us on Instagram, Facebook, and Twitter! Questo smontaggio non è una guida di riparazione. Per riparare il tuo Steam Machine, usa il nostro manuale di assistenza. With only 300 Steam Boxes to go around, how can you possibly get one? Follow our detailed guide. Or beg your co-worker, the inimitable Christopher Patton, for the opportunity to destroy his. We'll be careful, Chris! Probably. We'd like to start with specs, but the Steam Machine hardware varies—and the components aren't exactly printed on the box. Will it pack a punchy i3 paired with a GTX 660? Maybe a monster i7 mated to a Titan? We may never know—we can't stop drooling over the packaging. Whatever the contents, Valve wins the award for best packaging. Ever. 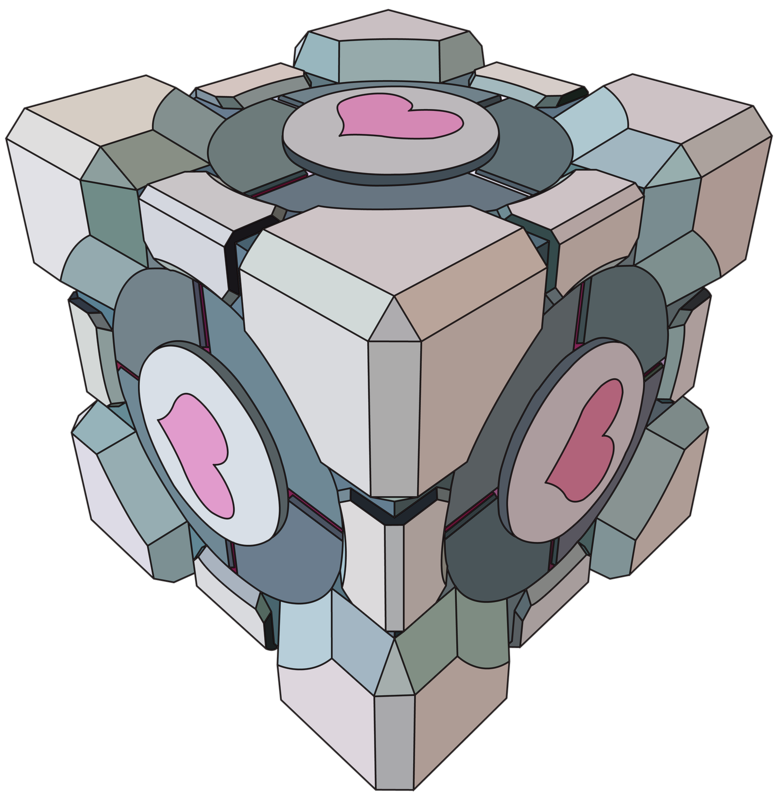 Is that a companion cube we spy? We resist the urge to bring out the crowbar, unlatching the Steam Box box safely. As we crack open the crate, no steam escapes—apart from this sweet logo. Up front: a ginormous button. The button has a lighted indicator ring, and sits next to two USB 3.0 ports for your wired controllers. Before we put the main hardware under the knife, let's take a quick look at the side dishes. Is this the future of the gamepad vs. keyboard-and-mouse debate? Valve seems to have wrapped a keyboard and mouse around a controller. Individually configurable touchpads and loads of buttons make this a sort of hybrid of everyone's favorite input devices. Valve is encouraging developers and tinkerers to experiment with its operating system, and as such has thoughtfully provided a contingency plan: a USB recovery drive. According to Valve: "SteamOS Beta ships with our Steam Client program, which... serves as a user interface and provides connectivity to our Steam online services. That being said, you can still access standard Linux desktop." Bringing PC games to the living room without a keyboard means you're gonna need a controller with a lot of buttons. This looks like enough. The only thing that feels better than a new controller in your hands is... taking it apart. If you're keeping count, this is application number 101,997 of the Pro Tech Screwdriver Set. And we're in! The plastic casing separates into two halves: main button board and covers in the upper, and not a thing in the lower. Speaking of nothing, where's the battery? We've grown accustomed to wireless console controllers, so this is a surprise. The Steam Machine Controller is wired only, and connects to the Box with the included extra-long USB cable. Lifting the main button board out gives a quick look at how the super-configurable touchpads fit into the unit. Reading all of those inputs and sending them back to the mothership is a tough job. But the NXP LPC11U37F microcontroller handles the task well. On the reverse of the the main board, we find three switches. 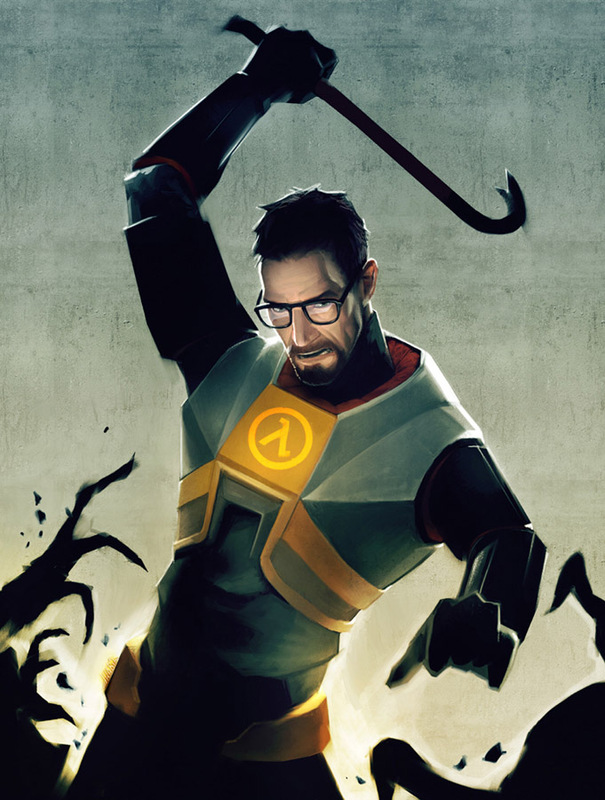 Half Life 3 confirmed. Sturdy posts and a nice sliding lock secure the hefty upper case to the lower. A single screw locks them in place and keeps your steam properly bottled up. Our first look, much to nobody's surprise, reveals all the usual components of a gaming computer. Video card, hard drive, CPU cooler, and power supply are all neatly tucked beneath cowlings and ducts. Only one of the 300 holes has had its paint filed away, and it's a different one than other units we've seen on the web. 300 certainly sounds like it might be 300 beta units. We'll bet our lunch money that these holes are some kind of unit marker for the limited run of prototypes. This looks like a built-in extension cord, to bring power from the back of the Steam Box up to the power supply in the front. Just to be safe, we'll start the unplugging here. A molded plastic cowling covers the video card and fills the void between the card and the upper case, protecting it from shaking around and damaging itself. Wild SATA data and power connectors appear! This pleases iFixit. If you were worried about storage capacity, worry no more. It seems the Steam Box is prepped for a second hard drive to store all your games. This particular Steam Machine has a 1 TB Seagate ST1000LM014 laptop SSHD (Solid State Hybrid Drive). It's a 2.5" SATA III 6 Gb/s, 5400 RPM SSHD with a 64 MB DRAM cache and 8 GB MLC NAND Flash. TL;DR This is a one terabyte platter drive paired with an 8 GB SSD and some clever software that keeps your most-frequently used data on the super-fast SSD. Tucked away inside this unit is a ZOTAC GeForce GTX 780 3 GB GDDR5 graphics card. As an added bonus, it looks like some kind of futuristic car. The inner cowling is one complex bit of custom-fitted craftsmanship. Its two parts were a little tough to wrangle out of their homes. A SilverStone RC2 PCI Express x16 riser card also falls in our quest toward motherboard glory. Out comes the entire off-the-shelf Mini-ITX motherboard. This Steam Box is equipped with two modules of Crucial Ballistix Sport 8 GB DDR3 (PC3 12800) RAM. At 16 GB total, it's the maximum this motherboard will support. A nook in the motherboard cowling gives you access to the RAM before you get this deep. But they won't be easy to finagle out of their slots, even with only one clip apiece to secure them. This motherboard includes DisplayPort, DVI, and HDMI ports, just in case you feel like using the integrated Intel HD Graphics 4600 instead of the GTX 780. Valve was nice enough to discourage this with port covers. A gaming giant this juiced needs some serious cooling power; this fancy fan is no surprise. This heatsink fan is a Zalman CNPS 2X Mini-ITX CPU cooler. Big AND quiet—nice. Under the hood, the CPU powering our Steam Machine is a 3.2 GHz (with a Max Turbo Frequency of 3.6 GHz) Intel Core i5-4570. After mining through a small mountain of off-the-shelf components, we strike a vein of Valve-designed gold. Behind the "Big Button" on the front of the Machine lies a board containing 12 LEDs—for illuminating the circumference of the power switch—plus the clicky button itself. The board is wrangled by an NXP LPC11U24F 32-bit ARM Cortex-M0 microcontroller. We found a SilverStone SST-ST45SF-G 450W SFX12V SLI Ready CrossFire Ready 80 PLUS GOLD Certified Full Modular Active PFC Power Supply in our Steam Machine. The Steam Machine is designed to be opened and worked on. The case is secured with a single Phillips #2 screw. Modular design with off-the-shelf components makes it easy to remove and upgrade the hard drive and video card. RAM removal is made difficult by the motherboard cowling, and may require removing the cowling. During reassembly, precise cable routing is difficult without a repair manual. Our Steam Machine is a prototype, but according to Valve, you'll be able to fashion your own Steam Machine out of any computer running SteamOS. Your mileage may vary, and future revisions may have different scores. Wait...a 450watt power supply can power all that? Including a near top of the line single Nvidia 780 (only 780Ti and Titan might be higher). This confuses me as Nvidia recommends a MINIMUM 600 watt supply for the 780. They recommend that because they don't want to be liable if you get a low-quality PSU. Most gaming towers that are running a 780 have a lot of other serious hardware, so this is never a bad idea. A 780 by itself doesn't need that much power. nVidia's hardware outshines ATI/AMD in performance and efficiency like nobody's business. The rest of the hardware on this box is not power-intensive at all. Mini-ITX board, reasonably efficient i5, only 2 sticks of RAM (a lot of MOBO's take 8 or more) and a 2.5 inch hard drive. Those recommendations about power requirements for video cards are grossly overstated. 450w is tons. The GTX780 has a system load of 405W on Furmark/Battlefield 3, and that’s with an i7-3960X test system. 450W is plenty enough if its paired with an i5.